Now, we’re happy to announce that the FDA is finally taking some action. We’d love to see more, but little by little, hopefully. According to the Environmental Working Group (EWG) and a number of other media outlets, the FDA announced on Monday, January 4, 2016, that they plan to publish a final rule banning three chemicals currently used in sandwich wrappers and other types of food packaging. Here’s more on this announcement, and a peek into some other ingredients on which we hope the FDA will take action in the future. The FDA’s announcement is in response to a petition filed in 2014 by a number of concerned organizations, including the National Resources Defense Council (NRDC), the Breast Cancer Fund, the Center for Environmental Health, the Center for Food Safety, the EWG, and the Center for Science in the Public Interest. 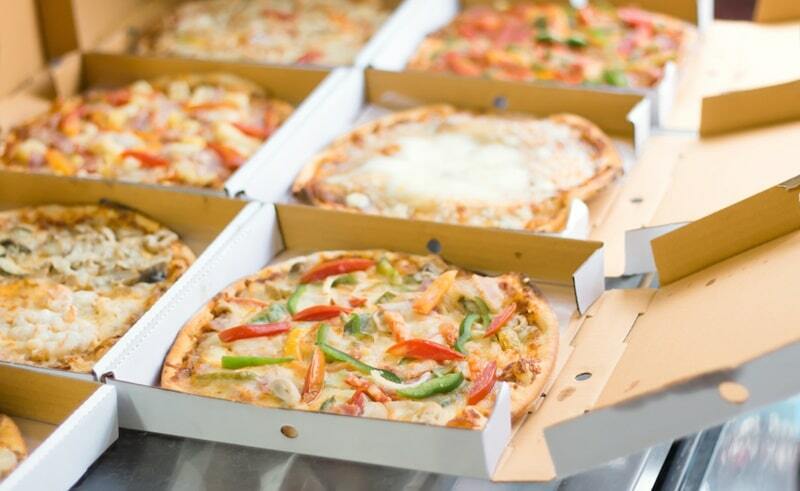 In the petition, the organizations asked the FDA to remove their approval chemical ingredients linked to cancer and birth defects that are still being used in food packages, including sandwich wrappers, microwave popcorn bags, and pizza boxes. After toxicology reports concluded that these chemicals could affect fetal and newborn development in 2010, the FDA worked with manufacturers to convince U.S. companies to stop making them. They’re called “perfluorocarboxylates (PFCs),” and they have been linked to reproductive, hormonal, developmental, neurological, and immune effects, as well as to cancer. They include chemicals used to make DuPont’s Teflon, 3M’s Scotchgard, and other adhesive and furniture products, as well as in the insulation of electric wire. Tests conducted by the CDC indicate that there is widespread exposure to these chemicals in the U.S., with scientists finding four of them (PFOS, PFOA, PFHxS, and PFNA) in the blood samples of nearly all people tested. In 2015, 200 scientists from 38 countries published a statement in a reputable journal expressing their concerns about these types of chemicals and their potential affect on public health. Yet though these chemicals are no longer produced in America, they are still made in China and India, and there’s nothing stopping food companies from procuring them from these other countries for use in food packaging. Before this recent FDA action, nothing was preventing U.S. companies from using these chemicals in food packaging in the future, and in packaging for food that is imported into this country. These are chemicals used to repel grease and oil, and in addition to the above, are also found in fast-food packaging and pet-food bags. The administration stated in their final ruling that the continuous consumption of foods that had made contact with these substances could increase risk of cancer and brain defects, particularly in unborn children. The ruling took effect on January 4, 2016, and prevents these chemicals from being used in the future, and from contaminating packaging on food imported to the U.S. Though this is a positive first step, many organizations are still frustrated because they believe the FDA should have acted faster. Ken Cook, president of the EWG, stated that industrial chemicals like these have no place in food packaging, and that it took the FDA more than 10 years to take action. Even that action is limited, since it’s banning only three chemicals that are no longer manufactured in this country. There is also concern that this move by the FDA only highlights the failures of the system to identify and remove unsafe chemicals that are used throughout the industry. According to the EWG, food processors and packagers can still use about 100 related chemicals that may also be hazardous. The NRDC and the other groups hope to build on the momentum, however, and encourage the FDA to take additional steps to protect public safety. To that end, a similar group of organizations petitioned the administration again to bar the use of seven food flavoring chemicals that have been classified as carcinogens by either the National Toxicology program or the World Health Organization’s (WHO) International Agency for Research on Cancer (IARC). According to the petition, these chemicals are used to flavor ice cream, candy, baked goods, jellies, and beverages. They were approved back in 1964 before there was any evidence linking them to cancer. The FDA is accepting comments on the petition until March 4, 2016. What do you think of the FDA’s ban? Please share your thoughts. “Paper Box Chemicals No Longer Considered Safe by FDA for Contact with Food,” Food Safety News, January 5, 2016, http://www.foodsafetynews.com/2016/01/paper-box-chemicals-no-longer-considered-safe-by-fda-for-contact-with-food/#.VsYo8mQrJFQ. “Petition seeking amended food additive regulation to remove FDA’s approval at 21 C.F.R. § 176.170 of the use of long-chain perfluorocarboxylate oil and grease repellents in paper and paperboard – Pre-Notification Consultation 1417 (PNC 1417),” October 17, 2014, http://docs.nrdc.org/health/files/hea_14101601b.pdf. Arlene Blum, et al., “The Madrid Statement on Poly- and Perfluoroalkyl Substances (PFASs),” Environ Health Perspect., 2015; 123:A107-A111, http://ehp.niehs.nih.gov/1509934/. “Factsheet: Perfluorochemicals (PFCs),” CDC, July 23, 2013, http://www.cdc.gov/biomonitoring/PFCs_FactSheet.html. Elizabeth Grossman, “The FDA Just Banned These Chemicals in Food. Are They the Tip of the Iceberg?” Civil Eats, January 6, 2016, http://civileats.com/2016/01/06/the-fda-just-banned-these-chemicals-in-food-are-they-the-tip-of-the-iceberg-pfcs/. Food additive petition pursuant to 21 USC § 348 seeking amended food additive regulation to: 1) remove FDA’s approval at 21 CFR § 172.515 of seven synthetic flavors; and 2) add to that section a prohibition on use of these seven flavors and one additional flavor approved as GRAS by the flavor industry because all eight have been found by the National Toxicology Program to induce cancer in man or animal. http://docs.nrdc.org/health/files/hea_15060901a.pdf.